The WithOnePlanet INQuIRY teaching and learning system provides opportunities for teachers to engage students in single or cross-disciplinary areas of study. Students are encouraged to formulate lines of inquiry, to question and investigate, to think critically, to review and share information and to build knowledge to take with them into their future. WithOnePlanet’s Teacher area is a place where teachers can access the INQuIRY teaching and learning resources for Years Foundation to 10. 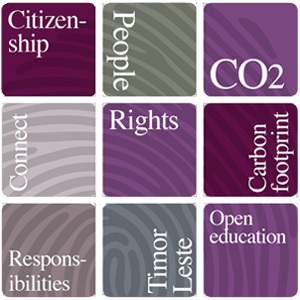 The resources focus on climate change through three themes: carbon, culture and citizenship. Climate change is a global challenge impacting all countries in different ways. 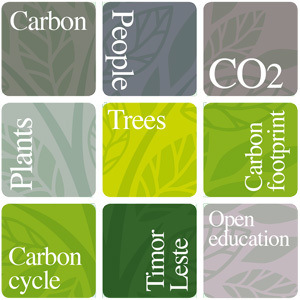 WithOnePlanet explores climate change issues through the science, English, maths, geography, history, art, civics and citizenship curriculums and looks at opportunities to make our region a more interesting, sustainable and better place. Teachers can download either a digital or a print friendly version of the Unit worksheets by making appropriate selections. 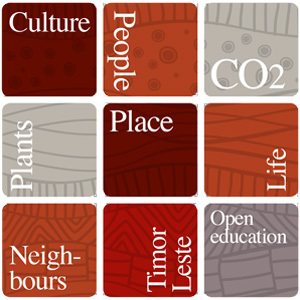 The resources are available for both Australian students and Timor Leste students in either English or Tetum.